Lifestyle factors linked to one-quarter of colorectal cancer cases – Kenyatta University TV (KUTV). All Rights Reserved. The researchers found that smoking cigarettes and being overweight — having a body mass index greater than 25 — each account for 9 percent of colon cancer cases in Australia, said lead study author Dr. Claire Vajdic, the head of the Cancer Epidemiology Research Unit at the University of New South Wales in Australia. Eating a diet rich in red meat was linked to 6 percent of colon cancers; and drinking more than two alcoholic drinks a day was linked to 4 percent of colon cancers, Vajdic told Live Science. In the study, the researchers looked at data gathered on more than 367,000 Australians during seven previous cohort studies. 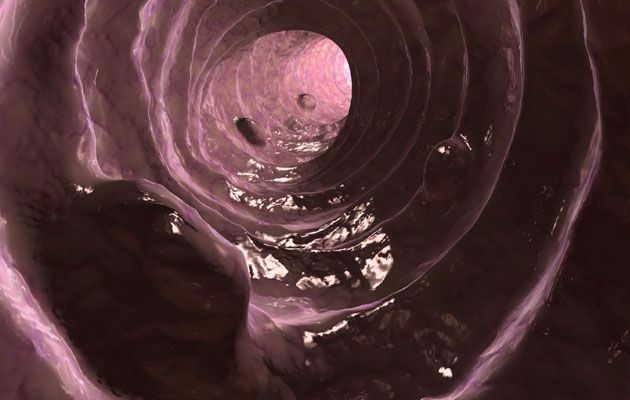 Over the 10-year follow-up period, nearly 3,500 of the participants developed colorectal cancer. In addition to looking at each factor individually, the researchers calculated how many cases of colon cancer were due to all four factors combined. They found that the four factors accounted for a total of 25 percent of all colon cancer cases. But this percentage wasn’t calculated by simply adding up the effects of the four factors, Vajdic noted. Because some of these risk factors are interrelated — for example, drinking and smoking often go together — a separate calculation was used, she said. Lifestyle factors accounted for more colorectal cancer cases in men than in women, the researchers found: 33 percent of colorectal cancers were linked to lifestyle factors in men, but just 15 percent of colorectal cancers were linked to lifestyle factors in women. In men, excess weight had the largest effect on cancer risk: 15 percent of the cases were linked to a BMI of 25 or greater. In women, smoking had the largest effect: 7 percent of the cases were linked to this risk factor, the researchers found. Another factor that plays a role in colon cancer risk is how much fiber a person eats. This factor wasn’t included in the current findings; however, the researchers plan on analyzing it in the future, Vajdic said.